According to interior gurus and international interior magazines, the biggest trend for 2013 is to follow your heart and mix whatever you want and like. There are simply no rules! However, if you feel like getting some guidelines, there are strong tendencies to be on the lookout for. 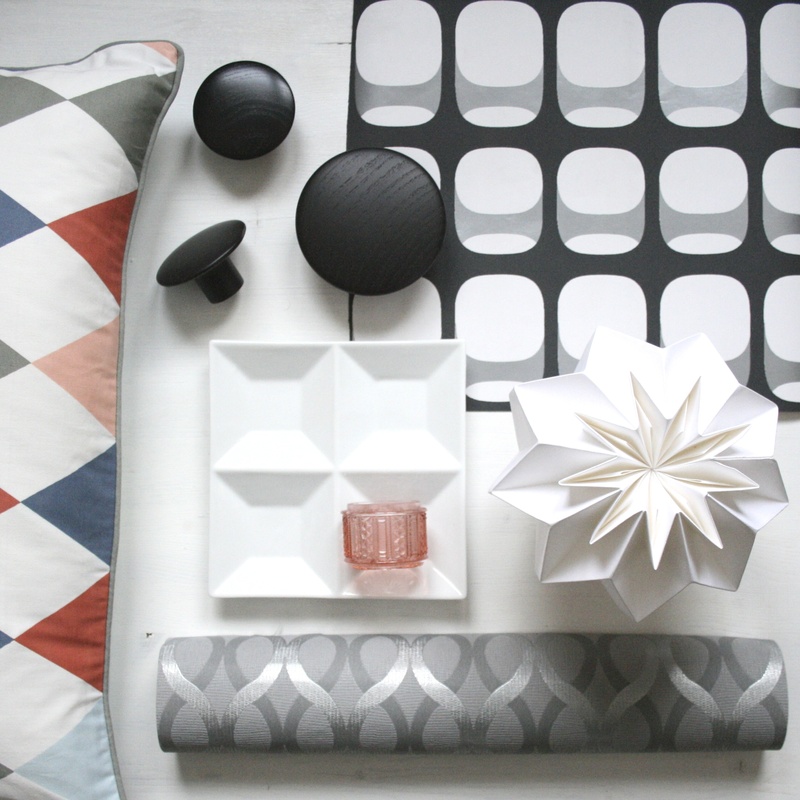 Geometrics: We saw some elements of geometrics last year, but this year you should take it all out. Not only on small accessories, but on entire walls if you dare. Pillow from Ferm Living,”Dots” coat hooks from Muuto, wallpaper from Hornbach,”origami” lamp from Habitat, wallpaper from Hobby Cactus,square plate from Casa, glass from secondhand market. Strong colours: Be bolder than before and use strong colours, even neon colours are in. And don’t be afraid to mix, orange and pink can look really nice together. 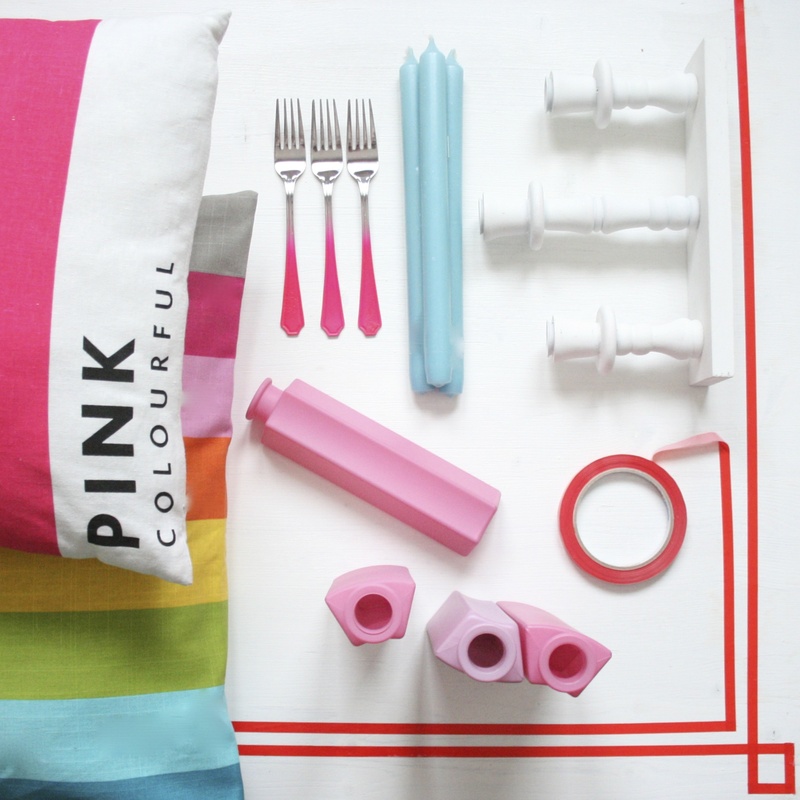 Pink pillow from Casa, forks from Auchan(spraypainted), candles from Hema, candleholder from Casa, tape from Ava, vases from Ikea, multicoloured pillow from Ikea. Nature: Has been a trend for a long time and it just continues. Take it one step further and go rougher and bigger, anything from trays to pieces of furniture. 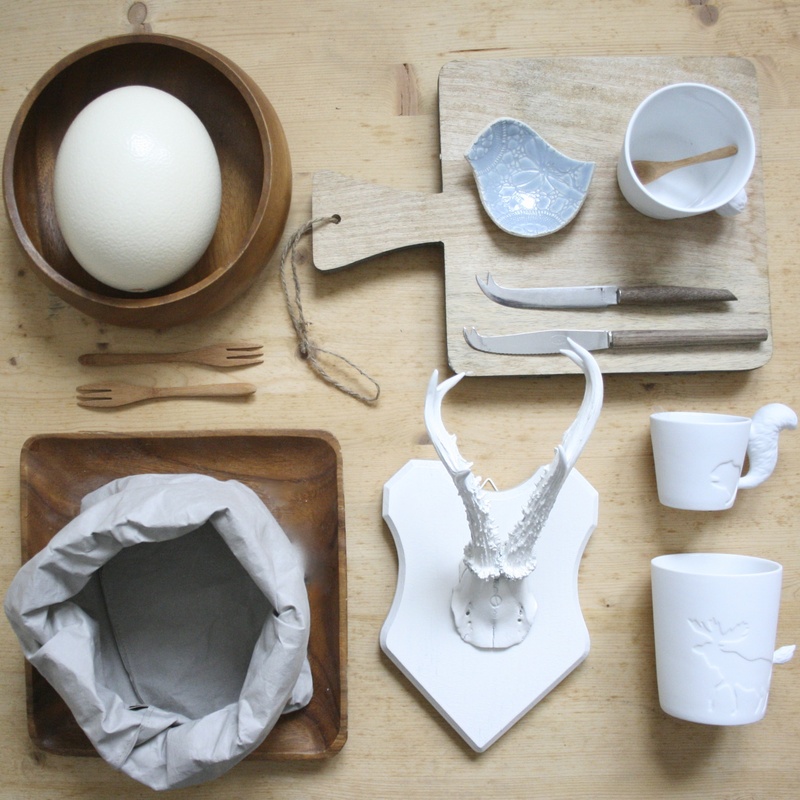 Wooden bowl and ostrich egg from a market, chopping board from Hema,bluebird plate from Ben & Pepper, knives from a secondhand store, mugs from Mugtail, antler from a market, square wooden plate from a market, washable paper bag from Uashmama, wooden forks from Søstrene Grene.